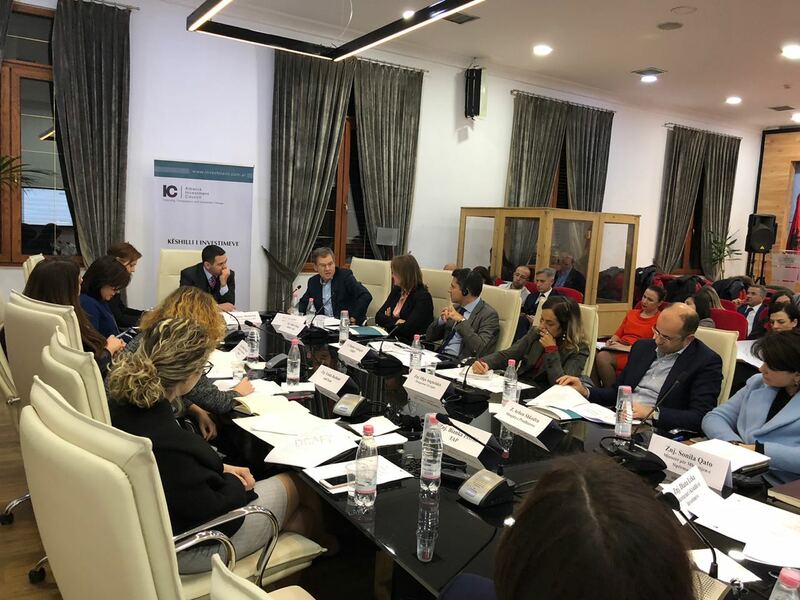 Tirana, Wednesday, 10 April 2019 / Ministry of Finance and Economy in cooperation with the Secretariat of Albania Investment Council held a consultation table with around 20 companies, chaired by the Minister of Finance and Economy, Ms Anila Denaj. Purpose of this roundtable was holding an open discussion with companies from the sectors of agri-processing, active inward processing regime (fason regime) and export with regard to the 2019 VAT Reimbursement Strategy and the Fight against Informality. The meeting was attended also by Deputy Minister of Finance and Economy, Mr Elton Haxhi and the General Tax Director, Mr Enton Duro. 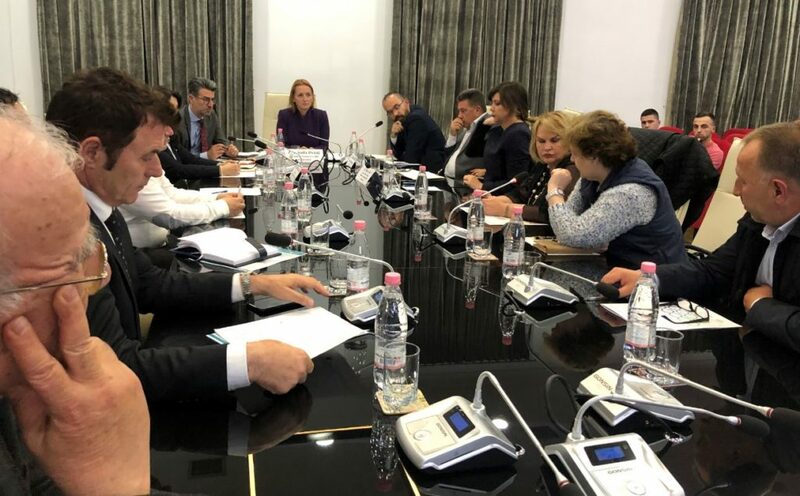 MFE together with GTD will focus its efforts on the awareness of the business as relates to informality in the country, and together they have planned the reforming of the tax administration and in particular tax investigation. 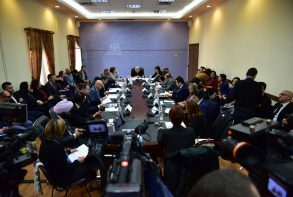 On the other hand, businesses thanked for the format and the opportunity to participate in such a roundtable. 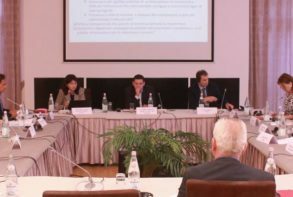 Some of the main issues raised by the business had to do with the necessity for timely VAT reimbursement to avoid bottlenecks within the companies in the execution of other payments; for the fason sector to be considered compensation with the tax on personal income and compensation with social insurance in case of delays in the VAT reimbursement, economic impact due to the depreciation of euro currency; industry of aromatic and medicinal plants to be re-included in the national and international financing schemes (such as IPARD Like, IPARD 2, Agriculture and Rural Development Agency); some options on the stipend taxation and level in the sector; more subsidies from the state, etc. In addition, companies raised other non-fiscal issues, such as executing various payments for additional tariffs (staff training, environmental permit, drinking water test, electric system, etc.). As relates to anti-informality fight, companies said that the honest business is the best ally to the government. They raised the demand for the creation of a working group, perhaps through the IC Secretariat or the Ministry, in order for the business to raise issues in a structured way as per sector specifics. 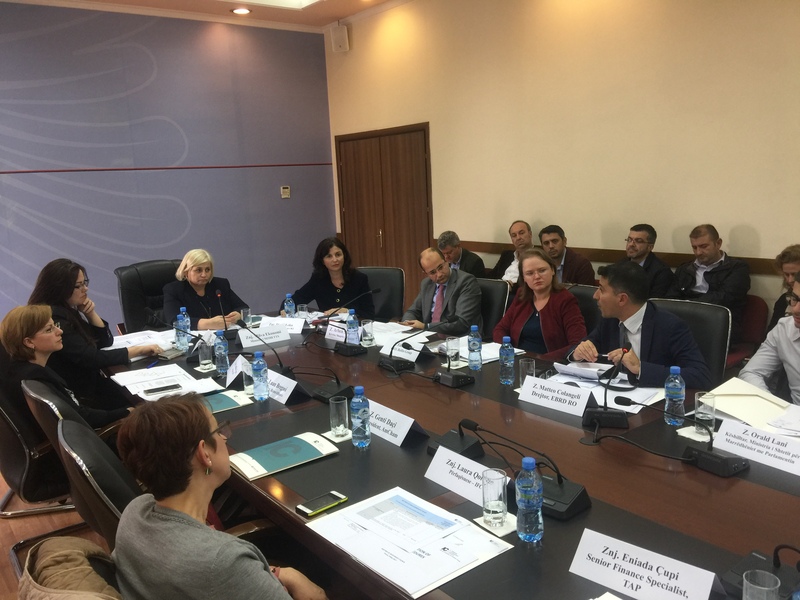 Minister Denaj confirmed that the issues and proposals raised in this roundtable would be forwarded to relevant instances and experts. 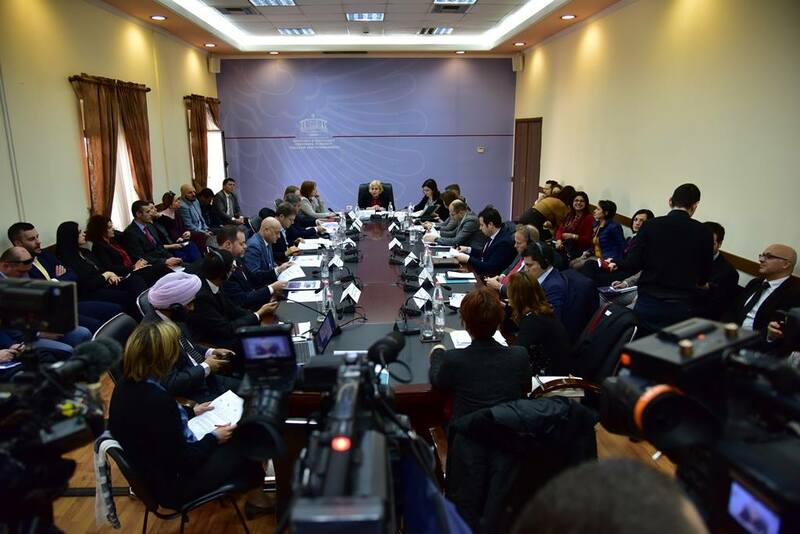 Various development partners have expressed their willingness and they are already supporting MFE to undertake a diagnosis of the fiscal policies, where it will be seen the impact of each fiscal policy (to be concluded by end of June 2019). 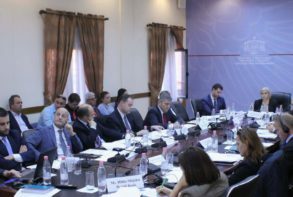 Support to the active inward processing regime companies and agri-processing companies is a priority of the Albanian government. The Government has undertaken some actions to improve the process of timely VAT reimbursement, while it is expected that until end of 2019/latest in the first 2 months of 2020, the government to have facilitated considerably the reimbursement process for other applicants. Minister Denaj invited the business to contact IC Secretariat or her directly for various concerns that they may have. General Tax Director, Mr Enton Duro expressed the willingness of the institution led by him to address with fairness any issue which will be addressed to his institution and he invited companies to express openly any concerns they might have. IC Secretariat informed that this roundtable is held in the framework of monitoring business concerns tackled by the IC since 2015 (tax inspection, VAT reimbursement and informality). 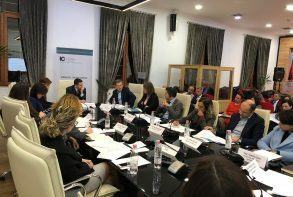 In the 2018 IC Survey (with 350 surveyed companies), it was noted a reduction in the business perception (compared to 2015-2017) on informality, an emphasis on the need for developing formalisation strategies either at the firm level or at the sector level, for example, companies in the tourism sector confirm that “informality brings informality.” In addition, this roundtable procedes the setting up of working groups by the IC, to discuss in further details systemic issues, tackled also by the Investment Council. 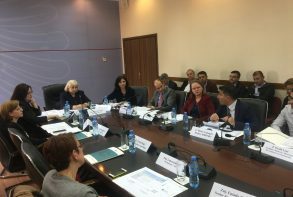 Investment Council has now a 4-year experience of direct consultation on main business concerns either through individual consultations with the business and public (central or local) institutions or through annual surveys conducted to measure the progress of some important factors of doing business (tax administration, VAT reimbursement, informality).